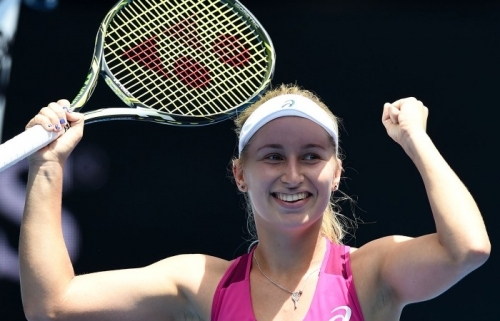 Daria Gavrilova known as ‘Dasha’ is one of the most exciting female athletes in Australian sport and the future of Australian tennis. In the past 18 months Gavrilova has risen 200 spots in the world rankings to reach a career high ranking of 24 in February. During the year she has posted some of the biggest wins of her career including the likes of Angelique Kerber, Maria Sharapova, Ana Ivanovic, Lucie Safarova and Petra Kvitova. In November 2015, the 21-year-old was named the WTA’s Newcomer of the Year after a breakthrough year. Previous winners include Kim Clijsters, Serena Williams, Venus Williams and Martina Hingis – all players she grew up admiring. 2016 started with a bang when she teamed up with Nick Kyrgios to win the Hopman Cup, the first Australian team to win the title in 17 years. The right-hander went on to make a fourth round run at Australian Open 2016, her best Grand Slam result so far and captured the attention of the entire nation along the way. Other highlights of her season included representing Australia for the first time in Fed Cup and at the Rio Olympic Games as well as making the final of the WTA tournament in Moscow in October.